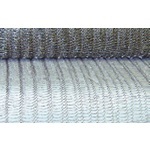 Less skin irritation & able to breathe easier Safer alternative to ceramic wool (Aluminum Silicates) Exempt from any carcinogenic classification in Europe UL listed for use with single wall chimney liner. 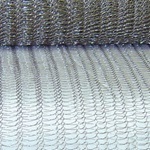 Olympia is the first lining supplier in the USA to have this material UL listed for use with single wall chimney liner! When do I need to insulate? (Home Heating Oil) None Required If clearance allows, 1/4" Super Wrap layer or any thickness of EverGuard Insulation Mix. This will stabilize draft and reduce condensation. (Natural or Propane) None Required If clearance allows, 1/4" Super Wrap layer or any thickness of EverGuard Insulation Mix. This will stabilize draft and reduce condensation. 1" EverGuard Insulation Mix. 1/2" Super Wrap layer required or 1" EverGuard Insulation Mix.